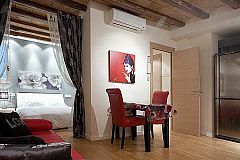 Audrey and Marilyn are looking from the walls making us feel like the starring character of one of their glamorous films, breathing the chic of a transporting atmosphere to the lavish fifties. 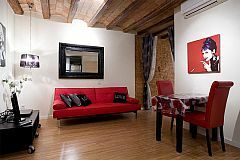 The Bella II movie we are going to shoot, flees from white and black and settles in a dramatic contrast of cheerful colors, impressive and lively. The ambience of this cosy apartment is built from its red leather sofa covered with cushions that shout love, through a modern kitchen furniture in steel, some elements of light made in pleated polycarbonate signed by Kartell and an avantgarde bathroom. 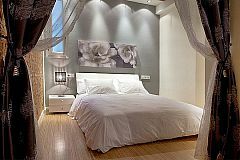 A bedroom for two that oozes romance and all this in contrast with old stone walls and vaulted clay ceilings with wooden beams. There is no doubt that the sc ript has all the elements to succeed and it is only wating for you to shine, because love is in the air and it permeates everything. 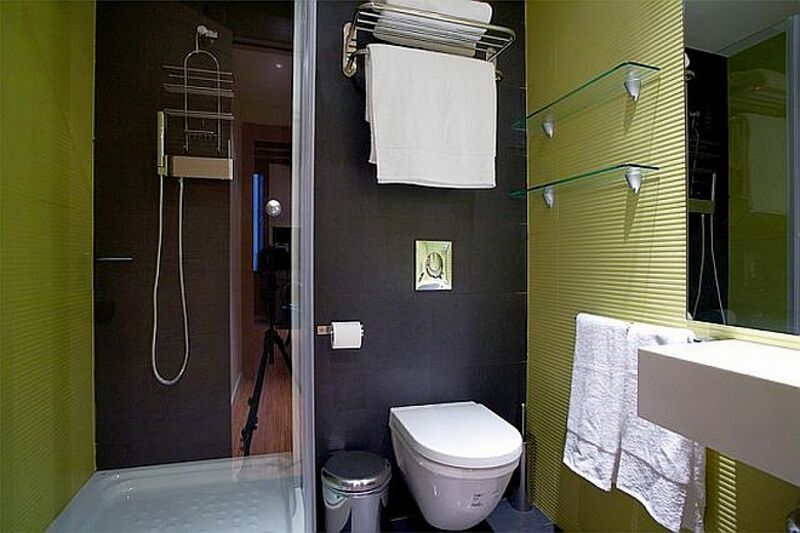 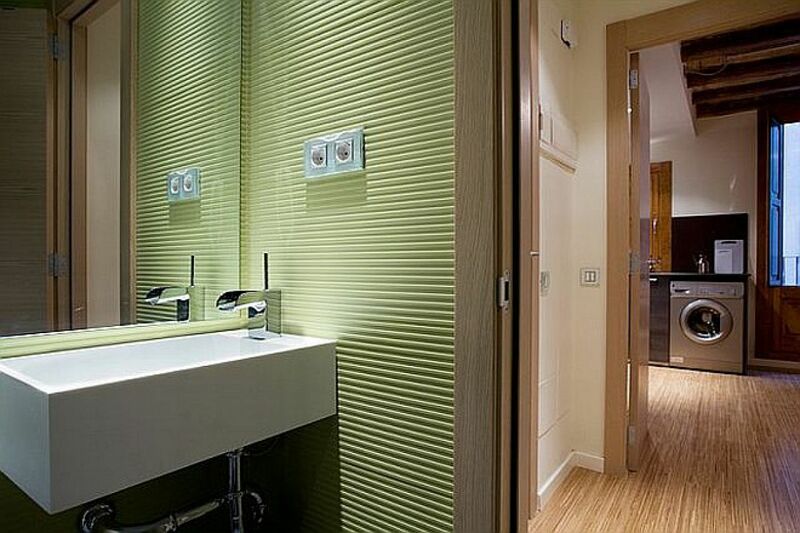 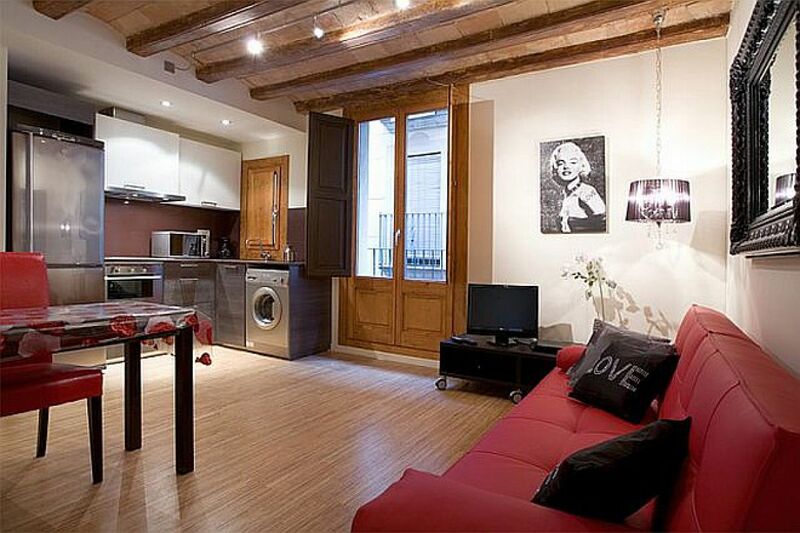 that’s what we have for you in our exotic apartment in barcelona. The location of Bella II is unique; the Raval district, is becoming a model of innovation and multicultural coexistence. 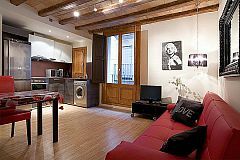 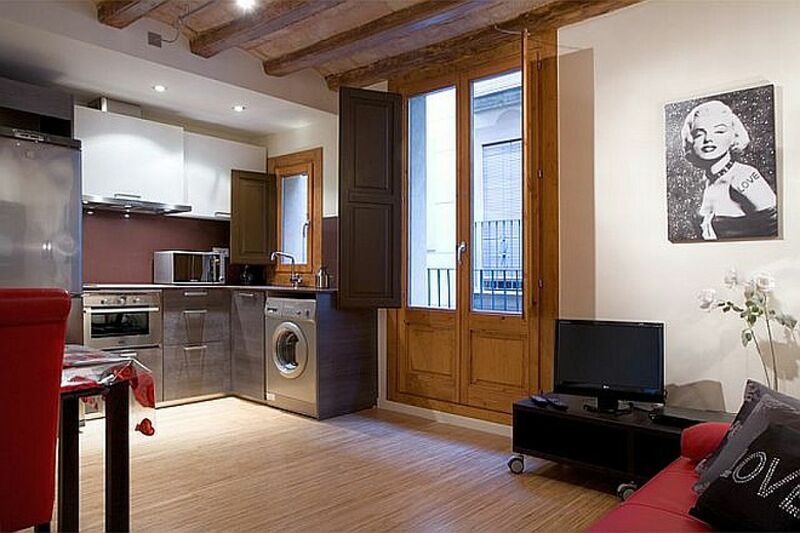 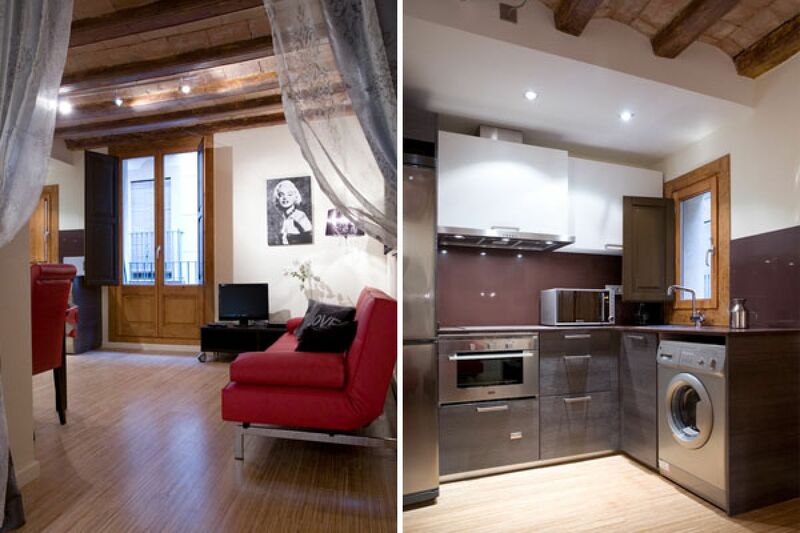 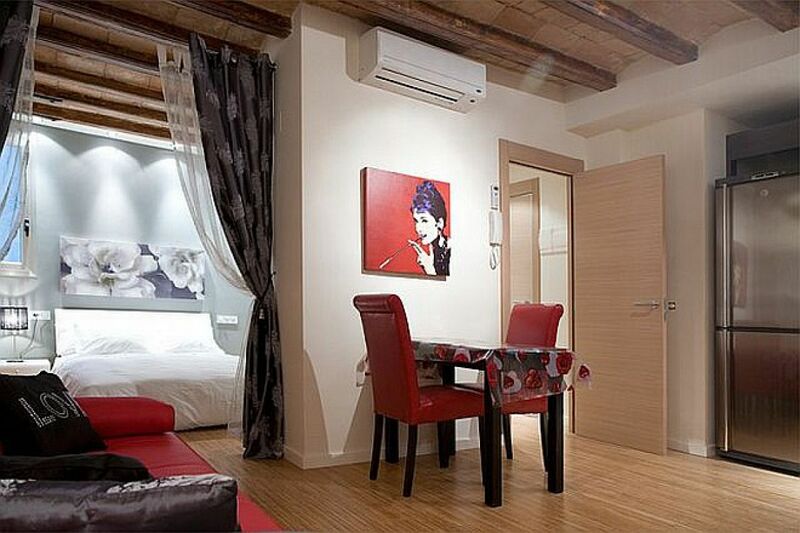 This apartment in Barcelona is a step away the popular Rambla, where the Mercado de la Boqueria,with the freshest produce and the gourmet's meeting points in the city, El Gran Teatre del Liceu, temple of music with international recognition and Plaça Reial, are forced stops. On the other side of La Rambla, we travel back in time to the historic Barcelona, guided by the narrow streets of the Gothic quarter and next to it, the cosmopolitan neighborhood of El Born, a haven for artists and the most avantgarde fashion stores, leading trends.